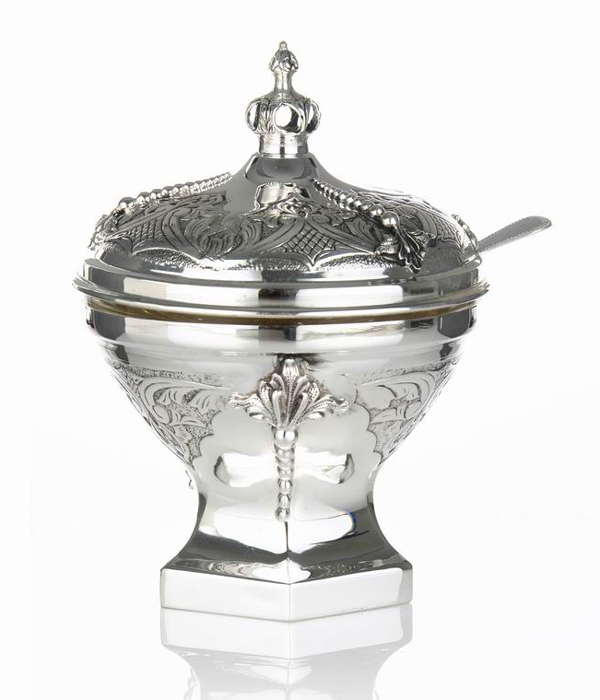 The square polished base rises gracefully to the round bowl in this 925 Sterling silver Honey dish and matching cover set. Carved raised flowers and ribbon design compliment the etched toscana floral and lattice patterns on both the cover and bowl. Total weight 0.57 pounds (260 grams).